Created from the former French province of Orleanais, Loiret is a department situated in northern France, and takes its name from the Loiret tributary of the Loire river, which runs through this region. It is known as the gateway to the beautiful and verdant Loire valley. Loiret is home to the city of Orleans, an ancient Roman city and sometime home to the royal French court. Roam through the pine and oak forests of Orleans, and you will be retracing the tracks of several French kings, who used it as a hunting ground. A must-see destination is the majestic Gothic catholic Cathedrale Sainte-Croix d’Orleans, built between the end of the 13th and the beginning of the 14th century, and then rebuilt after partial destruction in 1568. Steeped in history, the cathedral is most famous for its association with French heroine Joan of Arc, who came to evening Mass at this cathedral while the city was besieged in 1429, and from here she set out to regain France’s freedom. Its stunning stained glass windows depict images from the life of Joan of Arc. 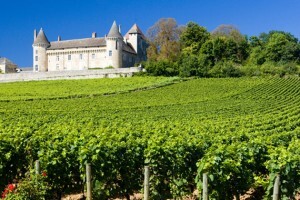 The region is well known for its magnificent chateaux. At Sully-sur-Loire, the sumptuous fortress is a relic of the medieval age; and the Chateau de Chamerolles reflects the artistic and architectural achievements of the Renaissance. Perhaps the best way to see the rolling countryside of the region is by boat: the Canal de Loing, Canal de Briare and the Canal Lataral remain from times long past when France’s waterways were its lifelines. With many miles of equestrian trails, Loiret is also excellent for riders. While in the region, visitors should sample some of its traditional delicacies. The history of saffron has long been linked to Loiret, particularly in Gatanais. Sologne is famous for its honey, and visitors to the town will find a wide range of floral flavours. Loiret’s wines are one of France’s best-kept secrets, particularly those of Giennois and Orleans, produced from grapes grown in the rich and fertile soils of these regions.